No, Super Circuit Maker will NOT be ported to 1.7.10. No matter how much you ask. I am, however working on 1.12. This was never intended to be released as a standalone mod. It was going to be part of a much bigger one, which I'm working on now. 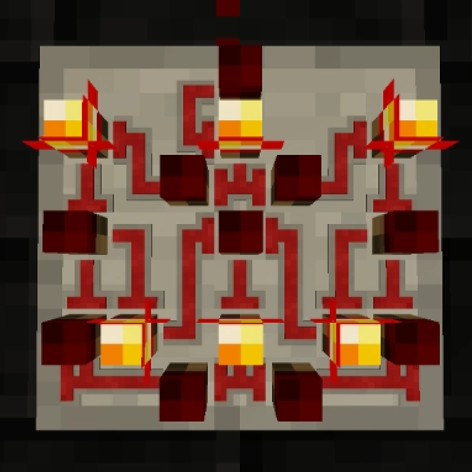 Super Circuit Maker is the Chisels & Bits of redstone circuitry! Start by placing a 7x7 circuit board on the ground and draw a few patches of wire. Ran out of space? Place another circuit board next to it and they'll join together, giving you a 7x15 work area! This will scale as far as you want! Mix and match components or choose from a wide range of pre-made logic gates in both full circuit form and integrated circuit form! What!? Ran out of space again and you don't have more floor tiles to fill with circuit boards? Don't worry, just add another level on top of the current one and you'll be good! /r/SuperCircuitMaker is the hub for user-created circuits, builds and questions about the mod. Note that this is NOT the place to report bugs! Head over to the issue tracker linked above to report if you find any. There is a high chance you won't get any kind of support if you post them here. The Hype Train has arrived at the station. All passengers please disembark. Location: Wearing fancy Vortex Armour. are we able to put command blocks in the circuits? If not,will we ever be able? Or is it even possible?